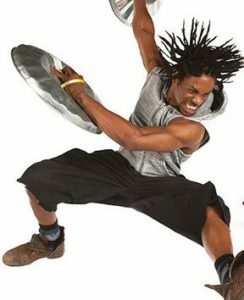 The New York, West End and international sensation STOMP is back in Broadbeach! Eight performers use non-traditional instruments – everything from supermarket trolleys to Zippo lighters, plastic bags to garbage can lids, and even the kitchen sink – to hammer out an explosively feel-good rhythm. Loved by audiences of all ages, this multi-award winning show is now in its 15th year in London’s West End, and its 24th year in New York. Come and see what all the noise is about! Making a night of it? Stay at Voyager Resort for STOMP! Voyager Resort, is just a short walk around the corner from The Star Broadbeach, the venue for this night of entertainment. For accommodation, contact us at Voyager Resort or check availability and book instantly online. With an endless list of well-regarded dining options surrounding the resort, you won’t have to search far for places to wine and dine before the show. The Star plays host to a number of well-regarded restaurants… or give Social, Mamasan, Gemelli and Moo Moo a try – all are great options! Otherwise our fully self-contained apartments make preparing a meal just as easy as at home.